As a cross-sector collective impact partnership, SLATE-Z is organized into five Work Groups focused on each major SLATE-Z goal. 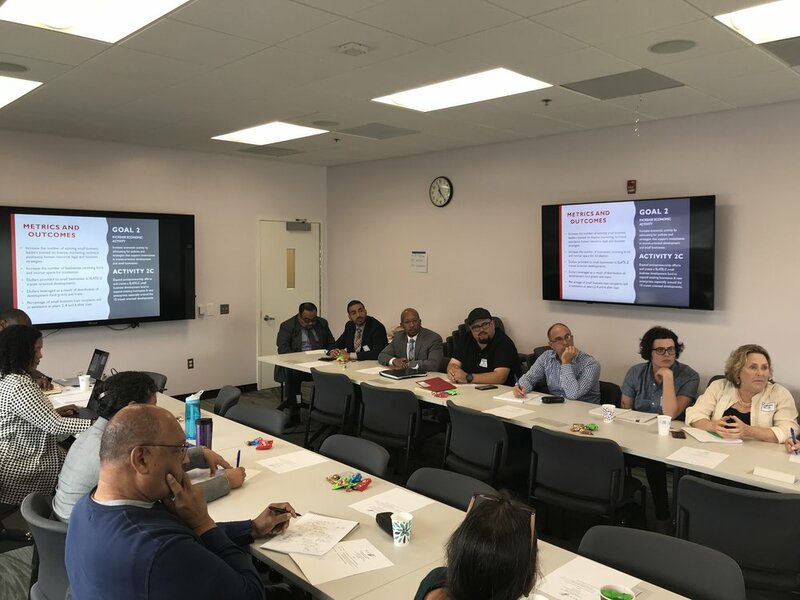 Each of the five Work Groups are convened and facilitated by SLATE-Z staff and are jointly led by co-chair partners who represent a government agency and/or educational institution, as well as a community-based organization. SLATE-Z partner organizations must join at least one Work Group. Together SLATE-Z staff, Work Group co-chairs, and partner organizations identify and pursue projects aimed at meeting the goals of the Promise Zone, pursue federal, state, and local grant opportunities, support the collection and quantification of data across the Promise Zone to ensure measurable results, and produce regular data scorecards. Work Groups meet at least once every other month.